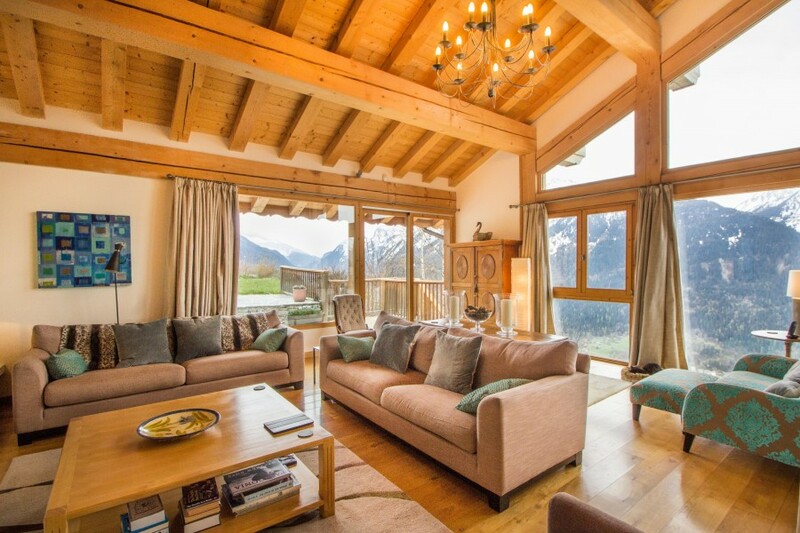 This five bedroom, four bathroom luxury chalet has been finished to an incredibly high standard with impeccable taste throughout. 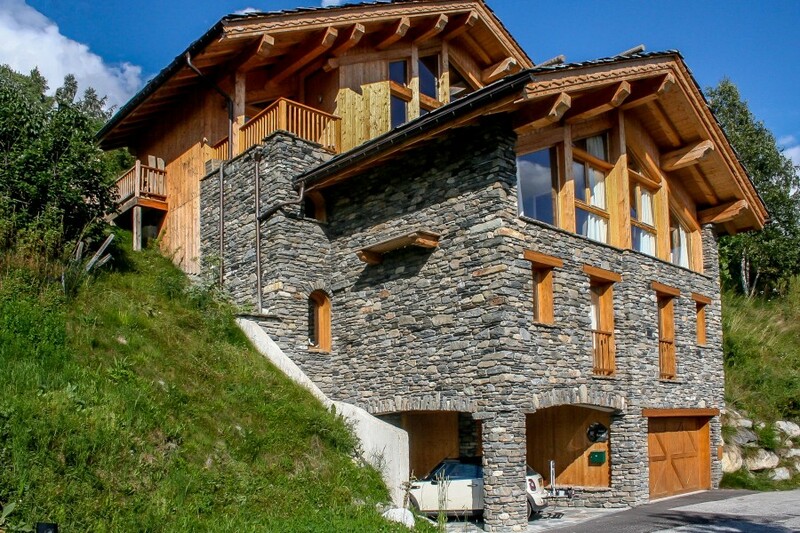 It could be a family home or holiday home with access to the best skiing in world in the surrounding resorts of Ste Foy, La Rosiere, Val D’Isere, Tignes and Les Arcs. This modern home was built around ten years ago to the very highest specification. 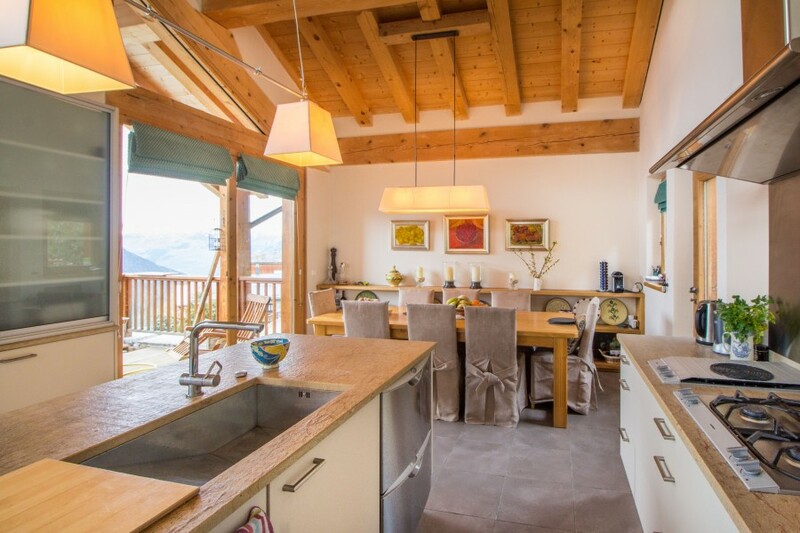 Occupying a south facing location in a charming village at around 1500 metres it hence benefits from year round sunshine that lasts almost all day. 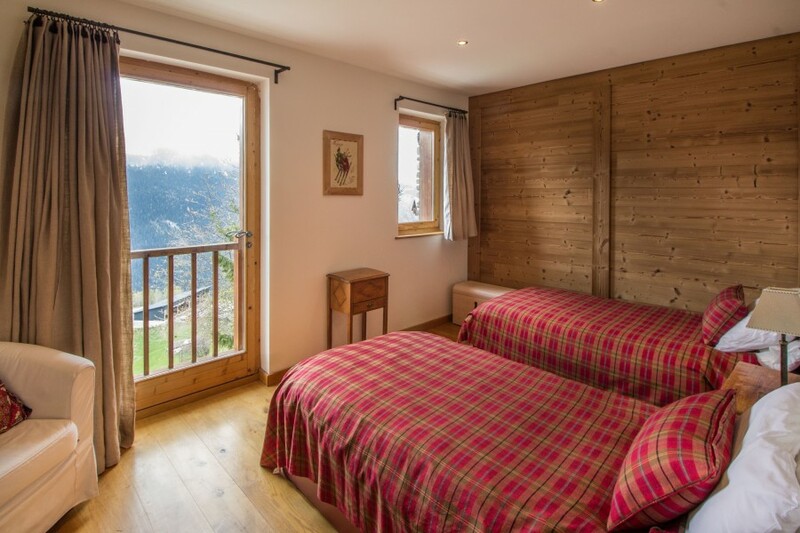 Huge windows offer stunning views across to Les Arcs ski resort, the Vanoise National Park and up and down the Tarentaise Valley. The house is arranged over four floors and features a lift, two garages, five bedrooms, four bathrooms an ultra modern kitchen and a separate living area. The house has oak floors and electric underfloor heating throughout. It has a ‘lauze’ stone roof. Entering the house on the ground floor on the left you find a ski and boot room. To your right is access to the garage, a little further on there is a guest toilet and a lift which takes you to all floors and stairs that lead to the first floor. The first floor comprises an office which you find directly across the hallway (this could be used a bedroom). 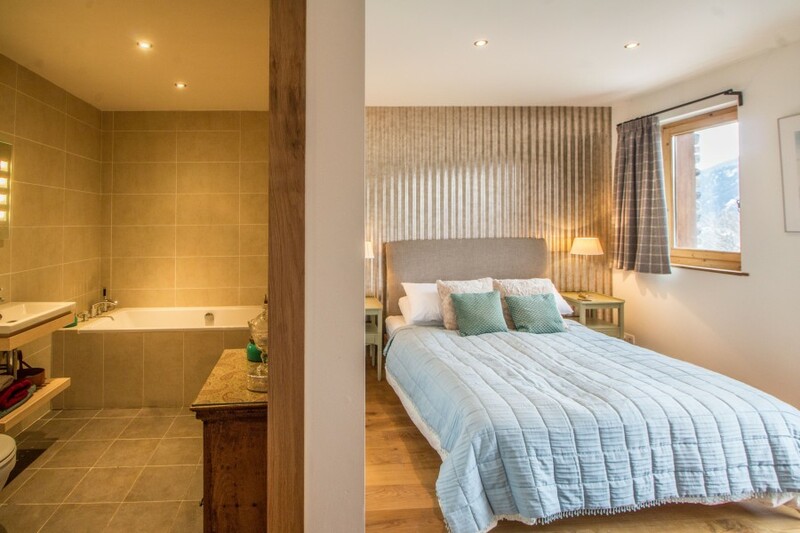 To your left is a bedroom with en-suite bath and heated towel rail, next there is a twin bedroom, a shared shower room and a large cupboard for storage. 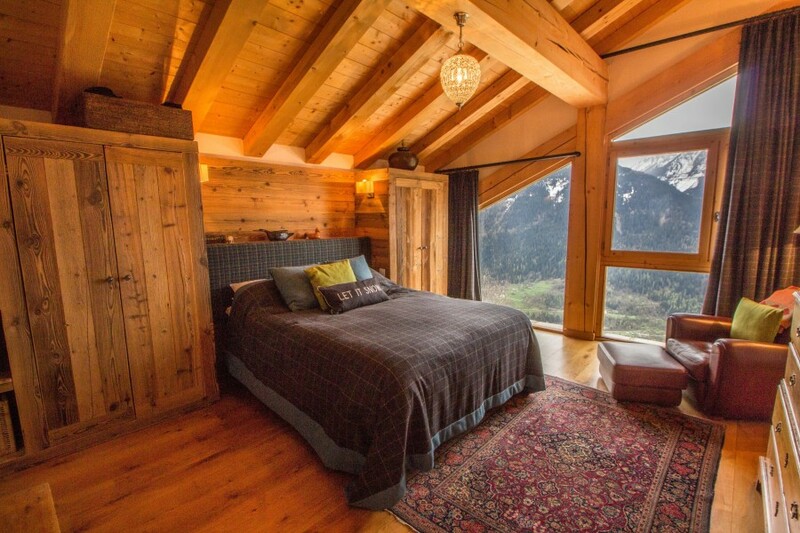 Both bedrooms have incredible views. Moving up another level there are two large bedrooms with full height windows each with their own huge en suite bathrooms. 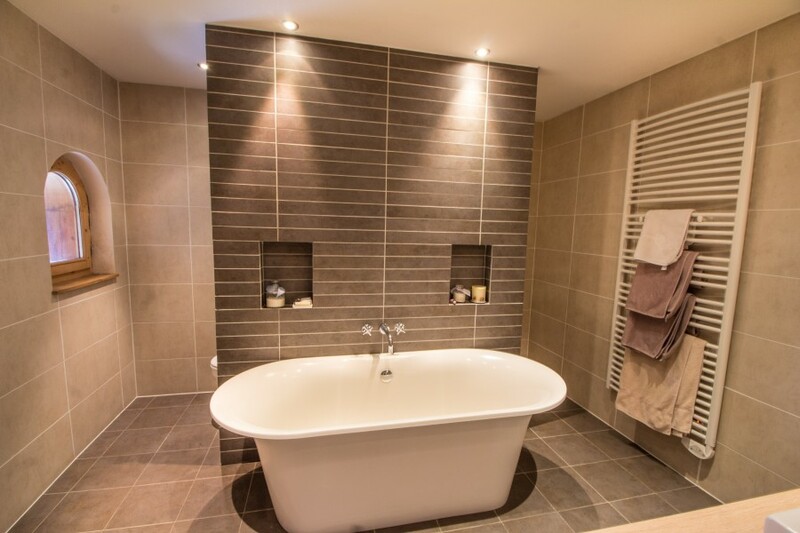 These bathrooms are fabulous with walk in showers, stand alone baths, beautiful fittings and stylish tiles. 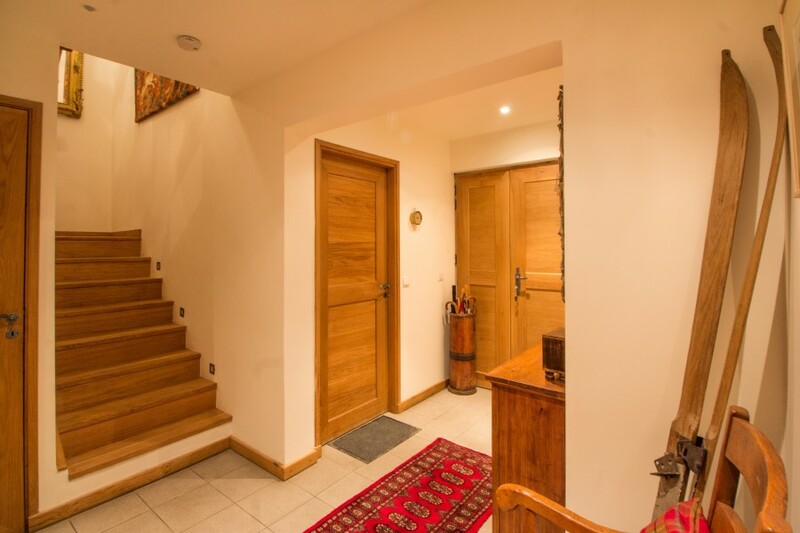 A short staircase leads to a landing with a separate WC (toilet des invitees) and storage, pantry area which houses hot water tanks, a wine store and gives access to a balcony. Moving up another short flight you are greeted with wonderful kitchen dining area. 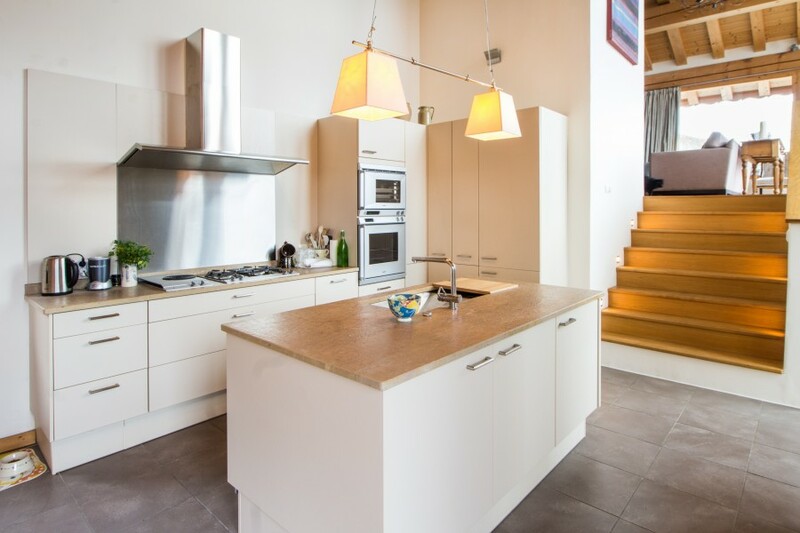 The German built kitchen has a central island, Gaggenau appliances, grey stone floor tiles and marble surfaces. To your left is the dining area with an oak dining table, oak shelving and seating for eight. French doors provide access to terrasses on both sides. Moving up another level you have the living area with huge windows and the best views of all. 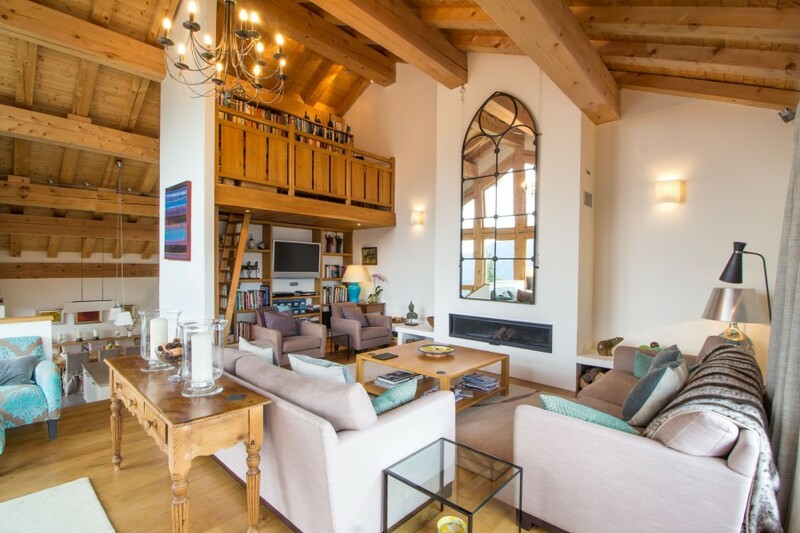 The living room is light and the double height ceiling with exposed wooden beams completes this modern Alpine look. The living room has a small mezzanine area for reading and a sleek insert fire. There is also access to a beautiful garden where you can enjoy the sunshine throughout the year.